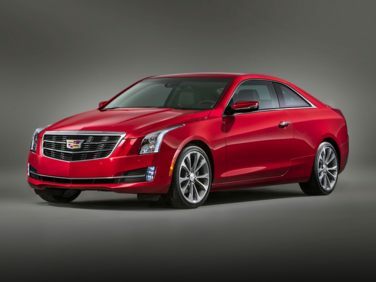 All new for the 2013 model year, the Cadillac ATS finally fulfills the promise of a credible small Cadillac. This is a significant change from the vehicles Cadillac has offered in this category in the past. In fact, many knowledgeable people say the ATS is the most significant Cadillac offering since the original CTS bowed in 2002. At that point, the most driver oriented Cadillac ever, the CTS announced Cadillac‘s intention to go head to head with its European rivals in every aspect. Eleven years later, the introduction of the ATS essentially says they were on the right track; they were successful at it, and they intend to continue full speed ahead. The rear drive ATS is offered with a choice of three engines; a 202-horsepower, 2.5-liter four-cylinder producing 190 ft-lbs of torque; a 272-horsepower, 2.0-liter turbocharged four capable of generating 260 ft-lbs of torque; and a 321-horsepower V6 delivering 274 ft-lbs of torque. This closely mirrors the strategy pursued by the Cadillac ATS model’s primary competitors— Audi A4, BMW 3 Series and the Mercedes-Benz C Class. It’s a Cadillac so you know creature comforts abound, even in the most basic trim level. Speaking of which, the Cadillac is offered in four states of trim; Standard, Luxury, Performance, and Premium. The normally aspirated four comes with the Standard package, while the turbocharged four comes with the Luxury and Premium models. As you might expect, the Performance package bundles the V6. Yes, a manual transmission option is available, but only with the turbocharged engine. But back to the creature comforts; even the Standard model features heated exterior mirrors, power front seats, automatic climate control, and a nice seven-speaker Bose audio system. One notable option is the Cadillac User Experience interface, the acronym for which is CUE. Basically it’s a touchscreen controller for the Cadillac’s comfort and convenience features. CUE is offered as an option for every one of Cadillac’s cars. Looking around the interior of the ATS, if you’ve been in any other contemporary Cadillac, you’ll know the ATS is one right away. The angular Art and Science exterior design language favored by Cadillac these days carries over inside the car quite nicely. Further, the seating is comfortable, the controls are nicely positioned, and the driving experience of the rear-drive Cadillac, while decidedly sporty, is also comfortable and quiet. By the way, all-wheel drive is also available. In other words, Cadillac’s ATS is the genuine article—an entry-level luxury sports sedan with all of the right stuff.